No two individuals are exactly alike, nor should they try to be. It’s never too early to begin talking to kids about what makes us unique. One great way to begin to explore and celebrate difference is through reading picture books. 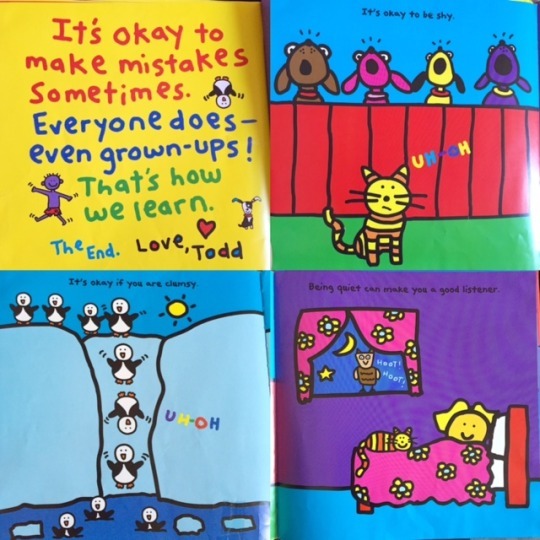 One author who handles this topic beautifully is Todd Parr. Through simple picture books with vivid illustrations, Todd Parr explores how difference comes up in our everyday lives. 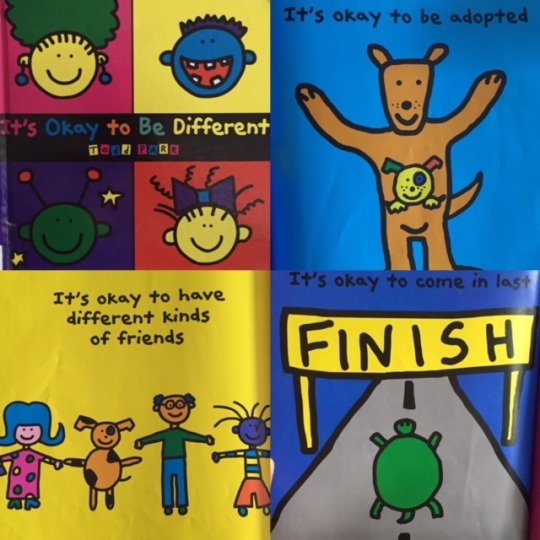 The first Todd Parr book I ever read was It’s Okay to Be Different. This is a wonderful picture book that normalizes differences. It’s a great book to explore with young readers and to ask them to think about ways people can be different from one another. (I love that includes the topic of adoption, which I don’t think comes up nearly enough in picture books.) A follow-up activity can be to ask children to consider one or two ways they are unique and to illustrate their own pages for the book. 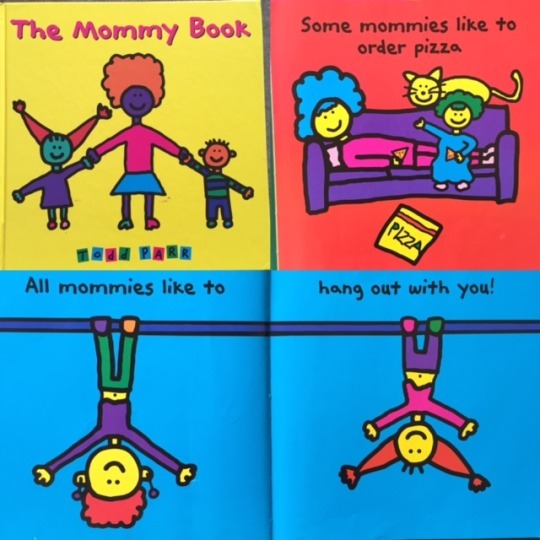 The Mommy Book is awesome. It describes a lot of different types of moms, from appearance to interests to types of work. It’s a book that most children will be able to relate to and to identify one or two descriptions that match their own moms. In a recent trip to the local Queens Public Library, I discovered It’s Okay to Make Mistakes. As a teacher, I’ve come to recognize the importance of encouraging students to take risks. This requires fostering a supportive environment in which kids feel comfortable asking questions and making mistakes to clarify and deepen understanding. In my 4th and 5th grade classes, we found age-appropriate ways to address this issue, but ideally this idea can be established from a young age. It’s Okay to Make Mistakes is a perfect book to begin doing so.